Home › Blog › How many cores are the x-ray cable? How many cores are the x-ray cable? 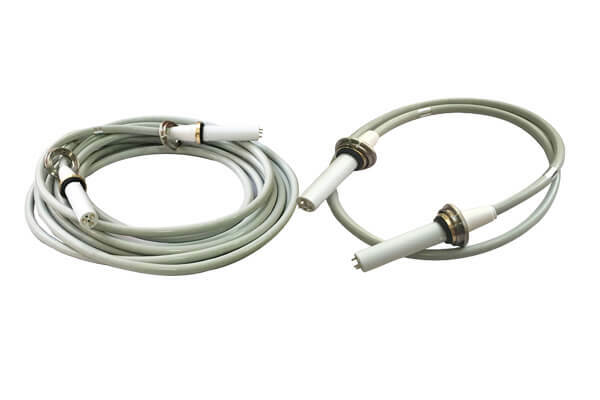 In large and medium-sized X-ray machines, x-ray cable are connected with high-voltage generators and spherical tubes. The main function of x-ray cable is to transfer the high-voltage output of high-voltage generators to the spherical tubes and heat the filaments of the spherical tubes. The conductive core wire of x-ray cable consists of two cores and three cores. The core wire is composed of multiple copper wires. The outer part is covered with insulation skin. No matter two cores or three cores, there is insulation skin between the cores. The two core line is specially designed for single focus ball tube, and the three core line is for the use of double focus penalty tube. When selecting x-ray cable, the appropriate x-ray cable should be selected according to the data of the ball tube on the X ray machine. How to extend the service life high voltage cable 150kv?